Posted on 02/11/2019 by Matt Ruppert	in Live Review and tagged 9:30 Club, folk, New York City, Sharon Van Etten. Anticipation hovered in the thick, rain-refracted light over 9:30 Club as the early crowd nestled close to the brick, waiting. Darkness and light bouncing back and forth, the air felt thick with hope, with expectation, as Sharon van Etten would take the stage at the club recently for the first time to play the songs off her new album Remind Me Tomorrow. Posted on 01/29/2019 by Parklifer	in Preview and tagged 9:30 Club, folk, New York City, Sharon Van Etten. 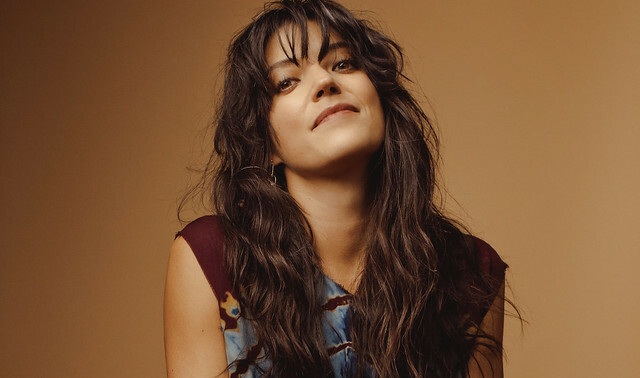 Fresh from releasing her latest album, Sharon Van Etten appears on at 9:30 Club on Wednesday, Feb. 6. Posted on 12/07/2015 by Mickey McCarter	in Live Review and tagged Australia, DC9, glam, Jack Ladder, Jack Ladder and The Dreamlanders, Kirin J. Callinan, new wave, Sharon Van Etten. Jack Ladder’s new album is the most amazing thing I’ve heard from a newly discovered artist all year. It’s his fourth studio album overall, but his first release in the United States. The Aussie crooner and his band, The Dreamlanders, stopped by DC9 on Thursday to perform the album for DC, but we largely didn’t get the memo. So only a small crowd turned out for some big glam, keeping Jack Ladder and The Dreamlanders a secret gem in our city for now. But that did not deter the band from playing a wonderfully full set, full of great songwriting and powerful guitar hooks. Drawing largely from the new album Playmates, Jack Ladder and The Dreamlanders preceded to deliver the audience back to an earlier time when skillful rock musicians sang of love while wearing smart suits from the very first song.